Thomas Dunne Books, 9781250042859, 304pp. In an abandoned house, sixteen-year-old Savannah Martino is strangled to death. The police rule Savannah's murder a random attack of opportunity, which prompts her small New Jersey town to set a curfew and cancel football games. Isolated and afraid, Savannah's sister, Cady, continues to communicate with Savannah through dreams. Cady knows Savannah in ways no one else did: The beautiful, ethereal twin everyone thought was an angel was actually on the road to self-destruction. Years later a chance encounter, while Cady is researching her latest novel coincides with an unexpected call from the once-rookie cop on Savannah's case, Patrick Tunney, now a detective, who tells Cady that Savannah's case has been reopened. Through new evidence, it has been determined that Savannah's death wasn't a random attack and that whoever killed her sister loved her. Despite years of interviewing convicted killers, profilers, and psychiatrists for her bestselling thrillers, Cady isn't prepared for the revelation that someone close to her could have killed her sister. Cady is drawn into a labyrinth of deception and betrayal reaching all the way back to her childhood that will force her to find the strength she never knew she had in order to face the truth. Susan Strecker resides in Essex, Connecticut, with her husband and two children. She is the author of Night Blindness, an Indie Next pick. 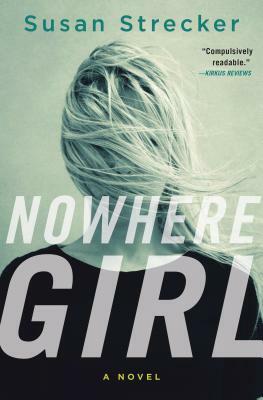 Nowhere Girl is her second novel.